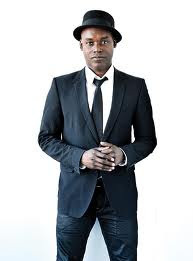 This is a pre-recorded phone interview that I had with Toronto International Film Festival Artistic Director, Cameron Bailey, that I aired on my radio show "THE MIDDLE PASSAGE", Wednesday, September 5th. We talked about the upcoming festival, it's films and other initiatives regarding this highly prestigious film festival, which takes place in Toronto, Ontario from September 6th - 16th.....enjoy! (To check out the audio, click on title)!! !